And on the third day there was a wedding in Cana of Galilee (John 2:1). 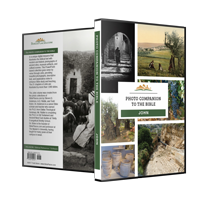 John records two times that Jesus visited this place (2:1 and 4:46), and while there are several proposed locations for Cana, Khirbet Qana is the most likely. It’s only 8 miles (13 km) from Nazareth, less than a half-day’s walk for Mary and her family. Archaeologists have also discovered remains from the first-century city, lending further support to this location. 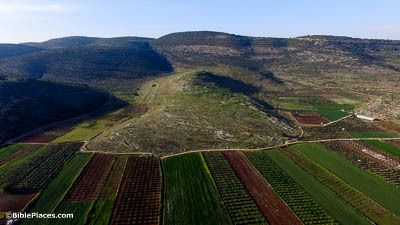 The city sits on a prominent hill overlooking the Bet Netofa Valley. 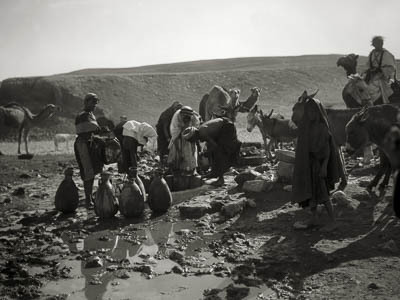 Now there were six stone water jars set there, each holding twenty or thirty gallons (John 2:6). Stone jars were more expensive than those made of pottery. They were, however, were vastly more convenient for Jewish households, because (unlike other materials) they could be purified after ritual defilement, according to rabbinic rulings. Hundreds of such water jars have been discovered in Galilee and Jerusalem. The display shown here is located in the Israel Museum in Jerusalem. Jesus said to them, “Fill the water jars with water. And they filled them up to the brim” (John 2:7). There’s an easily overlooked detail here. The jars weren’t just sitting around, already full of water. 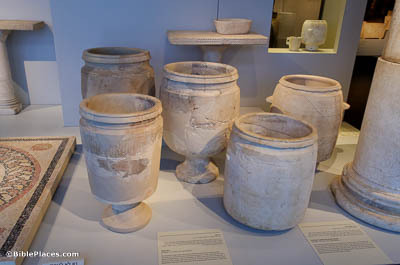 In preparation for this miracle, Jesus told the servants to fill these jars to the brim, which involved them carrying these six heavy stone jars to the local well or spring, and then bringing them all the way back—this time with extra weight from the water. But the effort was well worth it; Jesus provided the guests with at least an additional 120 gallons (450 liters) of wine. He found in the temple those who were selling oxen and sheep and doves (John 2:14). By virtue of being required for several different temple sacrifices, pigeons and doves were in high demand during the early 1st century. So many were needed, in fact, that there was quite an industry around raising them, with specialized structures built for that very purpose. 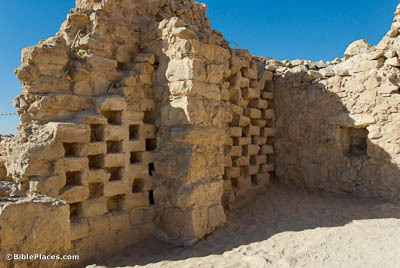 This Herodian-era room at Masada is one such example, with niches in the wall that could house birds in a space-efficient way. 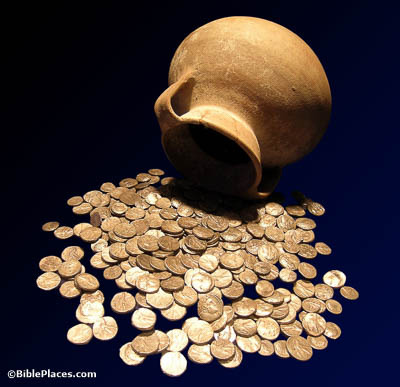 And He poured out the coins of the moneychangers, and overturned their tables (John 2:15). Not any old coin could be used to pay the temple tax. Tyrian shekels (pictured here) and half-shekels were used as official temple currency in preference to other equivalent coins because they were made of purer silver. Worshippers with any other currency would need the services of a moneychanger—who could well have charged a steep premium. 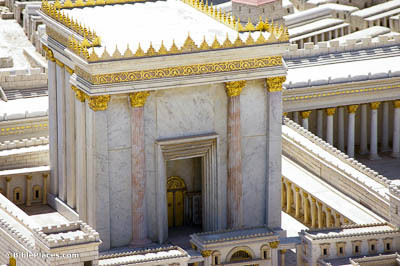 Jesus answered them, “Destroy this temple, and in three days I will raise it up.” The Jews then said, “This temple has been under construction for forty-six years, and you will raise it up in three days?” (Luke 2:19-20) While Jesus was talking about himself, his confronters thought he was talking about Herod’s Temple. Its reconstruction began around 20 BC, with the sanctuary proper finished roughly two years later. However, work on the Temple Mount complex continued all the way until AD 66 (incidentally, only four years before getting destroyed by the Romans). At the time of this conversation in about AD 30, there had been ongoing construction for nearly fifty years.